Our vision is to support companies in the war for talent by providing state-of-the-art talent management research and creating a distinct community of TM experts for knowledge sharing. We are a group of researchers and experts with practical experience in the area of talent management, and we are passionate about human resources and attracting, identifying, developing and retaining talent. Through this newly founded institute we offer our independent expertise and knowledge to practitioners and academics alike. Given the demographic changes (aging, fewer and a more diversified workforce), continued global war for talent and new types of employee relationships that present new challenges and obstacles for companies of any size (e.g. “Arbeitswelten 4.0”), talent management has become the #1 priority for executives. On June 19, the TMI will host a full-day conference on new work & talent. The Talent Management Institute newsletter, summarizing some of our events, publications from last year and announcements for upcoming events is online now. The TMI participated in the 4th HR Management for Energy Sector conference on March 13-15, 2019 in Berlin. The TMI participated in the NETEXPLO Talent Forum Digital Transformation Facilitator Certificate event in Paris with more than 1,300 participants. TMI member Prof. Dr. Marion Festing is also engaged in developing female talent in the Women in Leadership programme. New book chapter by TMI members on macro talent management in Germany, published in the book “Macro Talent Management” Routledge. On November 22-23, the talentSUMMIT took place at ESCP Europe. The two-day workshop included topics such as big data, new work, AI, digitalization & TM. Science meets IT: Loopline Systems and the TMI@ESCP Europe are collaborating to further develop feedback tools for managing employee behavior in companies. October 2018, the TMI participated in the 7th TM workshop organized by the EIASM, which took place in Helsinki at Aalto University School of Business. 1st TMI podcast with LovingHR is online. Prof. Dr. Marion Festing discusses topics such as networks, elites and agility in talent management with Jens Kollman from Loving HR in the podcast #46. TalentLAB is a workshop format where members of the TMI, HR and TM departments can access a pool of Generation Y students to test TM instruments and practices. Basic costs for this workshop format for TMI members is 2,500€ (price for non-TMI members 5,000€) for four students (6h), moderation by a member of the TMI and catering (lunch, coffee breaks) for a maximum of two external customers. Costs may vary according to the number of students/external people involved, catering preferences and possible preparations. The TMI offers workshops or consulting services to discuss and develop company-specific TM challenges and solutions. TalentSUMMIT is an annual two-day conference held at the ESCP Europe Berlin campus. The next TalentSUMMIT event will take place on November 5-6, 2015. Prof. Dr. Marion Festing is the Academic Director of our Talent Management Institute. At ESCP Europe in Berlin, she is the Campus Director and the Chair of Human Resources and Intercultural Leadership. In her research she focuses on topics such as international HRM strategies and approaches, with special emphasis on emerging countries, female careers, global talent management and global performance management. In addition, she is also interested in intercultural leadership adjustments as well as in intercultural competences and careers. Marion Festing gained practical work experience in Taiwan, has researched at Monash University in Melbourne, Australia, and in the U.S. at Michigan State University and has lectured at the University of Sfaxinin Tunisia, amongst many others. Moreover, Prof. Dr. Marion Festing has fulfilled functions as an (associated) editor and reviewer for several journals. Dr. Lynn Schäfer heads the Talent Management Institute at ESCP Europe in Berlin. From 2011-2014 she was a research assistant at the Chair of Human Resource Management and Intercultural Leadership at the ESCP Europe Berlin campus, and as such she was involved in several research projects, taught courses on human resource management and organisational behaviour for Master’s and executive courses and wrote her PhD on the topic of context-oriented perspectives on talent management. Her research projects focused on talent management in Germany, for instance gender inclusion in talent management practices in the German media industry and talent management in medium-sized companies in Germany, and she also conducted a research project on talent management and the promotion of women professionals in the software services sector at the Indian Institute of Management Bangalore in India. Prior to joining the ESCP, Lynn Schäfer worked as a HR practitioner in the area of talent relationship management, recruitment, training and management development at McKinsey & Company in Germany and Bertelsmann in Guetersloh and China. Katharina Harsch joined the Chair of Human Resource Management and Intercultural Leadership at ESCP Europe in Berlin in 2014 as a research assistant. Her main research focus centres on strategic human resource development, talent management and career development. In her role as such she conducts research projects on talent management and family businesses. She is also an affiliated researcher for the Talent Management Institute. Before joining ESCP, Katharina Harsch completed her Master of Science in Education for Business and Economics, with the focus on Management Control, at the University of Hohenheim in Stuttgart. During her Master’s she studied at Queensland University of Technology in Brisbane for one semester. As an intern at the Bosch Training Center of Robert Bosch GmbH, she wrote her Master’s thesis in the area of human resource development within the organisation. Moreover, Katharina Harsch worked in the area of talent management/career development at MHP, a Porsche Company. 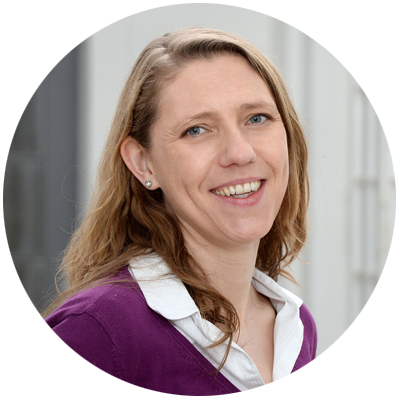 Michaela Wieandt joined ESCP Europe, Berlin, in 2008 as a career consultant. She continues to work with students and alumni in relation to career preparation, career strategy and planning, and she also manages the ESCP Europe career network Linking Talents Germany. Additionally, she collaborates with ESCP Europe Berlin’s company partners on talent recruitment and employer branding. Her research interests focus on the area of talent attraction, strategic development of international careers and companies’ international career regimes. Prior to ESCP Europe, she worked as a research assistant at the Technical University of Berlin and at the Technical University of Chemnitz. Her research was about the professional development of IT occupations in Germany with regard to IT offshoring, as well as on (IT) consulting. Her Ph.D. work was on the regulation of international consulting projects. Maral Muratbekova-Touron is the Paris campus representative for the Talent Management Institute. At ESCP Europe, again in Paris, she is an Associate Professor in the management department. 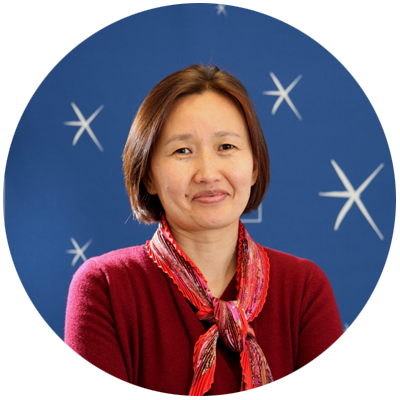 Originally from Kazakhstan, she has gained academic and practical work experience in Kazakhstan, Russia and France. Her research interests lie in the area of international human resource management and global talent management. Her research projects to date have focused on the international HRM approaches and talent management of multinational companies in developed (France, Canada) and developing countries (Russia, China and Brazil). She has also conducted research projects on intercultural management, including the development of clanism as an indigenous management concept in Central Asia. 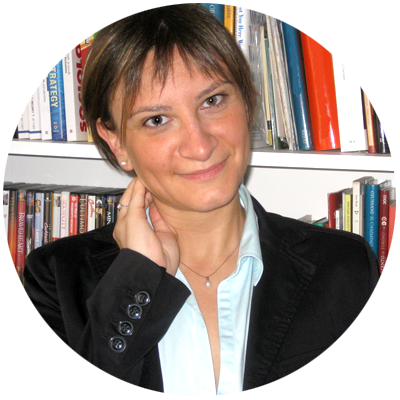 Chiara Succi has been Assistant Professor of Organisational Behaviour at ESCP Europe since September 2009. She achieved a Ph.D. in 2007, at the University of Lugano, with a dissertation on the acceptance of learning innovations within organisations. Since 2003, she has collaborated on several research projects as part of the Swiss Virtual Campus Programme framework and worked as a teaching assistant at the University of Lugano, at the Politecnico di Milano and at the Edith Cowan University (Western Australia) as a visiting researcher. She has also worked as an internal consultant at UniManagement, the leadership development centre of the UniCredit Group and at the Masie Center. Her area of interest focuses on the point at which learning, leadership and technology overlap. At the moment, she is focusing on the importance of soft skills and on the identification of the most important “attributes” for the next generation of workers. Juuso Tiihonen joined the Chair of Human Resource Management and Intercultural Leadership at ESCP Europe in Berlin in 2017 as a research assistant. His main research focus lies on international HRM, talent management, diversity and demographic change. Prior to joining the ESCP Europe, Juuso Tiihonen completed his Master of Arts (Erasmus Mundus Double Degree) in Euroculture with the focus on international HRM, at the University of Göttingen, Germany. During his Master’s he studied at Rijksuniversiteit Groningen in the Netherlands for one semester. After receiving his MA degree Juuso worked as an HR practitioner in the areas of international HRM, recruitment, HR development at Science+Computing AG in Tübingen, Avenso GmbH in Berlin and LucaNet GmbH in Berlin. As part of the academic talent management community we play a central and crucial part in conducting and publishing state-of-the-art research. In order to achieve this requirement we are in regular contact with the distinguished members of our Talent Management Institute Advisory Board. David Collings is Professor of Human Resource Management at Dublin City University as well as Visiting Professor of HRM at King’s College London. David Collings is Professor of Human Resource Management at Dublin City University as well as Visiting Professor of HRM at King’s College London. He runs courses on human resource management, international human resource management, talent management and international management. Moreover, he has researched and consulted with a number of multinational companies in the areas of global mobility and talent management. In 2014, HR Magazine named Prof. David Collings as one of the 20 Most Influential International Thinkers in HRM. Prof. Hugh Scullion is Professor of Organisational Behaviour and HRM at Hull University Business School, UK. Some of his research interests include topics such as international HRM in European MNCs, global talent management, global leadership development and women in international management. A recent study by the University of Barcelona ranked Prof. Scullion as no 1 in the world for research productivity in Talent Management. In fact, his research played a major role in developing the international HRM and global talent management fields in Europe. Prof. Vlad Vaiman is Professor of International Management at the School of Management of California Lutheran University as well as Visiting Professor at several universities around the world (USA, Austria, France, Iceland and Finland). He has published not only books on managing talent in organisations, but also a number of academic and practitioner-oriented articles in the fields of talent management and international HRM. Moreover, Prof. Vlad Vaiman works as a consultant for a number of major organisations throughout the world, including the USA, Canada, Russia, Switzerland and other European countries. Paul Sparrow is the Director of the Centre for Performance-led HR and Professor of International Human Resource Management at Lancaster University Management School. From 2008 to 2012, he was consistently voted amongst the Top 15 Most Influential HR Thinkers by Human Resources Magazine. Before joining Lancaster University, Paul worked as a Research Fellow at Aston University, was Senior Research Fellow at Warwick University, worked as a Consultant/Principal Consultant at PA Consulting Group, was Reader/Professor at Sheffield University and, whilst at Manchester Business School, took up the Ford Chair from 2002-2004 and was Director, Executive Education, 2002-2005. He has consulted with major multinationals, public sector organisations and inter-governmental agencies, has published over 100 journal articles and chapters and several books, and he is a Fellow of the Chartered Institute of Personnel and Development. Quarterly TMI newsletter with important dates, case studies, TM info, etc. For further information and prices of our member ship packages, please contact our TMI members. Being part of the talent management research community is central to the whole TMI ethos. Thus, we conduct academic research projects which we present regularly at academic management and talent management conferences. However, we also regularly conduct applied research projects, tailored to the needs and research areas of our clients. If you are interested in investigating and analysing a specific research question or wish to conduct a case study analysis, please do not hesitate to reach out to us. “Arbeitswelten 4.0” – how do digitalization and globalization affect the future work place and work relationships? How can future talent management policies address these issues? How can talent in a virtual organisation be identified and retained?